Repost with greater resolution and different formatting. Perfect social commentary. Nice image. I support Obama!! Great work,composition and colors! 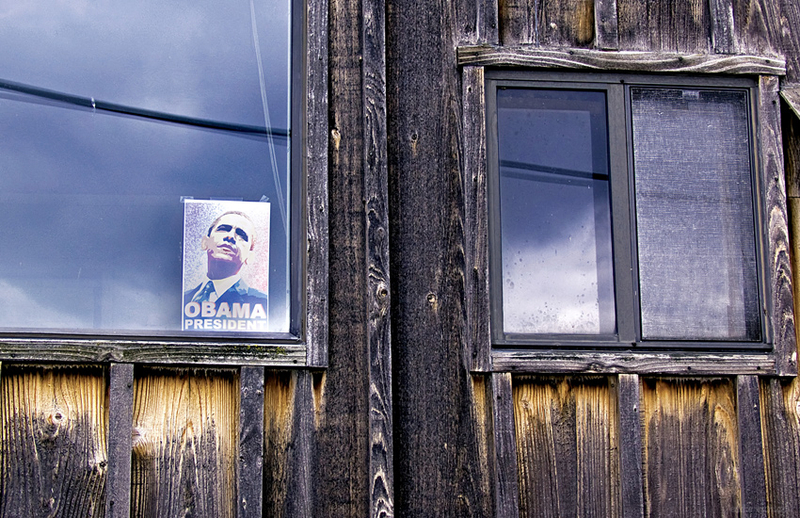 Strong image, the flyer on this old block house.